Are you unhappy with your current windows and doors? Tired of maintaining timber that’s prone to peeling, rotting and wear? Or maybe your aluminium frames are heating up your home. If you’re looking for an upgrade, uPVC may just be the choice for you. Let’s take a closer look at uPVC, exploring just how durable this material is. uPVC is a good choice for those who prefer low maintenance building materials. Let’s check out a few maintenance tips for uPVC windows and doors in Sydney. If your windows and sliding doors have white coloured frames, cleaning them is a breeze. All you need to do is get some warm soapy water and a cloth and give them a wipe down. If there are stubborn stains, just apply some gentle detergent or cleaning spray and use a bit of elbow grease to rub it off. 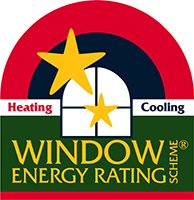 If your uPVC patio doors or house windows have a wooden finish, follow the above guide. Never use an abrasive cleaning product, as this may damage the laminated surface of your window or door. If you’ve installed double-glazed windows or PVC doors in Sydney in your property, you’ll want to care for your glass. Clean the glass with a clear liquid window cleaning spray. Use a soft cloth or paper towel. For the best results, invest in a squeegee mop – these work wonders on glass. There’s a reason why professional window cleaners use them! The moving parts of your windows and doors need a bit of care and attention from time to time. Keep your hinges clean and free of dirt and dust. Apply a light lubricant once a year. Apply this to the pivot areas as well as the tracks of your double glazed sliding doors in Sydney. Examine your screws from time to time. Make sure that all the screws and other fixings are in place firmly and tightly. When choosing building materials you want to ensure that they’ll last a while. There’s nothing worse than having to repair or replace your windows and doors sooner than you expected to. Luckily, uPVC is a highly durable material. uPVC is a dynamic polymer that gets used in construction. The “u” in uPVC stands for unplasticised. This means that it is a hard, rigid material. Since it is not flexible or soft, it is less prone to damage. When it comes to double glazed doors and noise reduction windows in Sydney, uPVC is a great material for those looking for a long-lasting, low-maintenance frame. Unlike timber and aluminium frames, uPVC is highly water and salt resistant. This means that it is perfect for those living on the coast, or those concerned about the weather. Australia is not a mild climate – we have hot summers, wet winters and wild storms all year round. uPVC is a durable material that can stand up to a bit of a beating. If you’d like to know more, contact us. You can also view our uPVC range here.